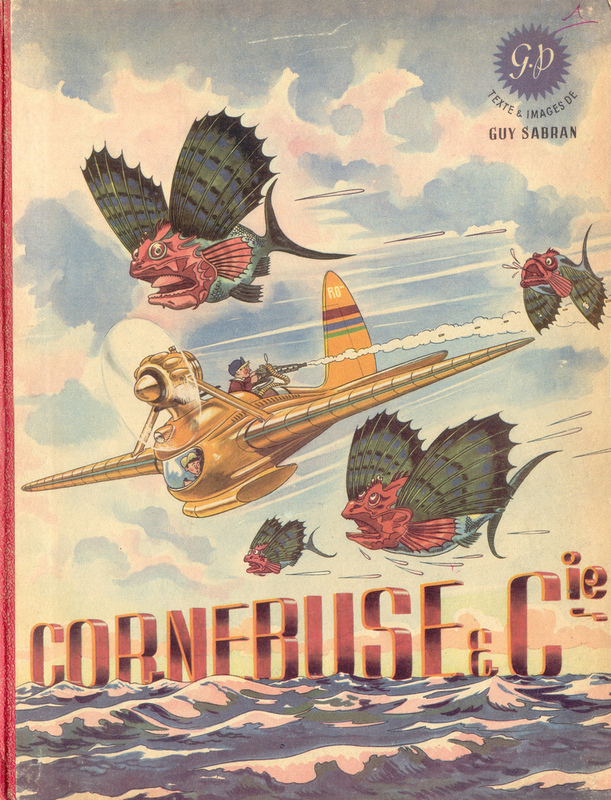 I’ve stumbled across a great Flickr set showing a children’s book from 1945 about two brothers who were born in a sort of society centered around aviation. The text is in French, but the illustrations are the real draw, here. Quick warning: the depiction of some natives on one of the pages is not what I would call “culturally sensitive,” so don’t let the grass skirts, totem, and spears catch you unawares.